ElementYouthful, sporty, and modern. Our Element lab coats offer the same soft, bright white durability, fluid-repellency, and ease of care found in all of our lab coats with a more basic approach to sizing and fabric. Because our women's lab coats were designed and developed by a woman who struggled for 10 years working in the E.R. to feel comfortable, poised, and confident in the uniform she was provided. 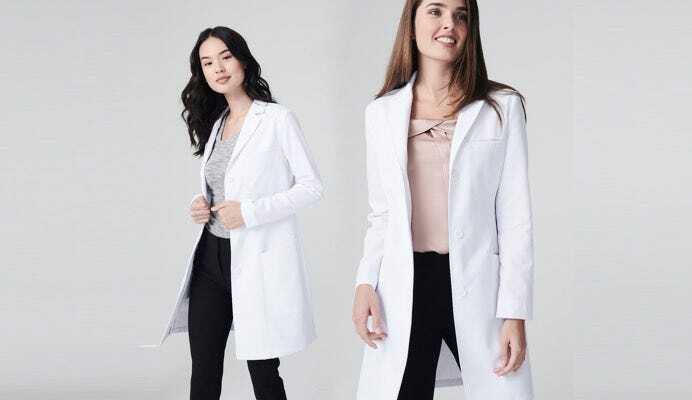 She developed all of our women's white lab coat with one primary purpose in mind: to provide a high quality garment that fit women correctly without compromising on professional appearance. Our founder, Lara Francisco, PA-C, was tired of wearing unisex lab coats that fit poorly with abrasive fabric and couldn't understand why all the gender-specific options for women looked like pajamas or something out of a costume catalog. 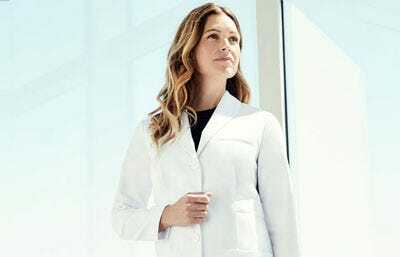 She developed a new lab coat for women that was better than any lab coat ever invented and improved it over time, adding a proprietary technology on the fabric interior to keep you cool, dry and comfortable, with a fabric exterior that repels fluid, soil, and stains. 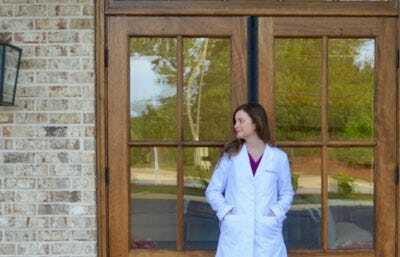 Our feminine lab coats have the highest possible rating in the industry when tested for strength, soil release, and fluid repellency, which is why we now proudly back up our warranty for a full year. 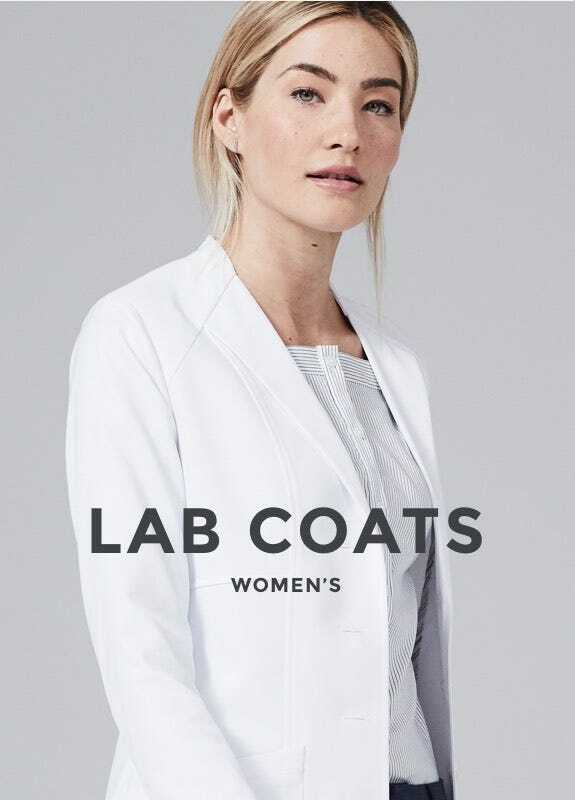 All of our lab coats for women come in three different fits: a classic fit for a little more space throughout the chest and hips, a slim fit for a polished, sleek look, and the first ever petite fit lab coat for professionals of smaller statures (like our founder). Try one on for yourself and you'll feel the difference, then wash it at home on any cycle and you'll see just how durable and amazing this fabric really is. "As physicians we are often tempted to brush off our appearance as less important, stating that we don’t care, focusing on our patients and not on ourselves. Truth is, we do care, and our patients care, even if they don’t consciously know it." "When I first put on the coat, it felt like one of those rare times in a clothing store dressing room when you don’t even have to look in the mirror to know it fits perfectly." "It's important that your first impression with patients is a good one, and usually that comes from your appearance. 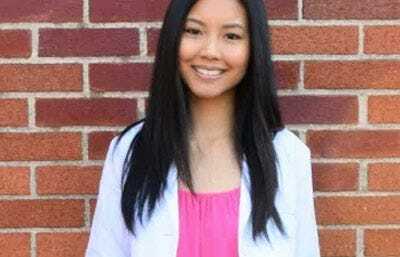 I know that I tend to look young for my age (because my patients tell me everyday), so it's even more important for me to look professional. " "These are the best white coats I have ever purchased. The fabric and embroidery look very nice. I get a lot of compliments on these coats."